All of our wedding packages are designed with you in mind, there is no need to source the costly added extras that complete your wedding day as we have three great packages for you to choose from. Each package includes floor length linen, candelabras, chivari chairs along with many modern extras. Our new ballroom is guaranteed to wow your guests coupled with our five-star food, excellent service, modern setting and elegant décor, Shearwater hotel & Spa simply ticks all the boxes! Choosing the right package is all about what works best for you and your fiancé. Once you have an idea of budget, along with the personal touches that matter to you as couple. Our trained team of wedding experts will tweak all specific details accordingly. For couples who wish to have a hazzle free wedding, we suggest our All - Inclusive €9,999 package. Alternatively, our 2019/20 packages start from €45, €55 & €65 per person. 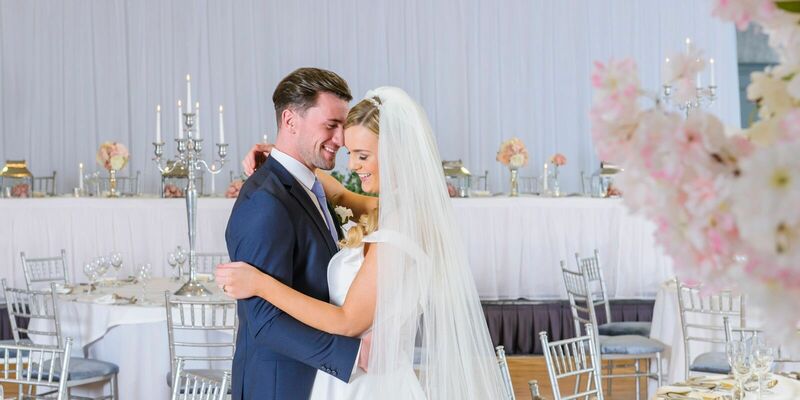 We encourage all couples to make an appointment with our wedding Co-ordinator Lisa who will privately show you around the hotel, capture the essence of what matters to you, visualise your personalised wedding & based on your conversations, tailor a package to suit your budget and individual taste. This is your Journey, it is an exciting one, it would be our pleasure to be a part of it.